Complete Hands Up Vol. 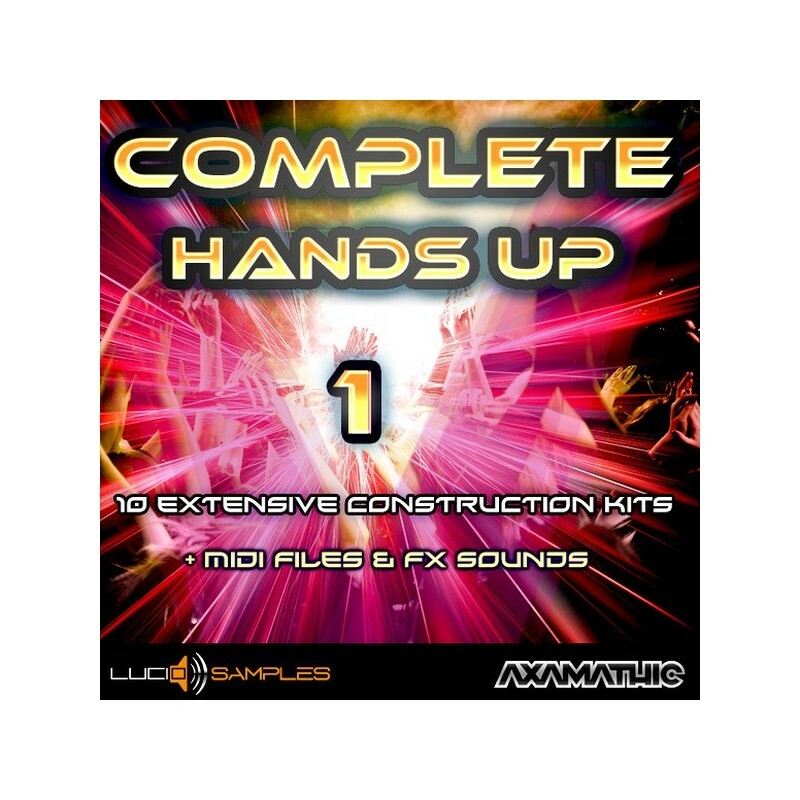 1 contains 10 extensive construction kits with characteristic for Hands Up music energetic melodies and also synthesized, dance tones. Each of the 10 arrangements is broadly expanded and divided into main synth leads, subsidiary synths (overlays), basses, pads, drums and other instruments. 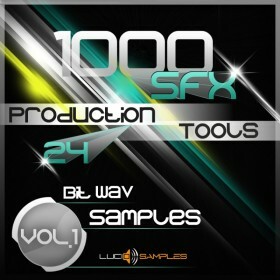 All the construction kits contain overall 442 samples – on average 44 tracks on one arrangement! 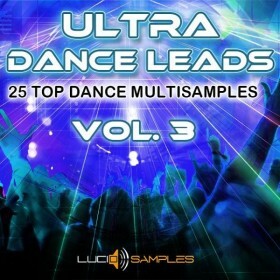 This vast number of samples gives enormous possibilities in merging particular tracks and creating unique variations. Midi files with multitrack recordings of all melodic lines are invaluable asset and support. Thanks to them it’s possible to make changes in every melody or to use sounds from external synthesizers VST/ hardware. To complement the set we added over 100 useful sound effects for building smooth transitions between individual parts of a composition. To sum up: Complete Hands Up Vol. 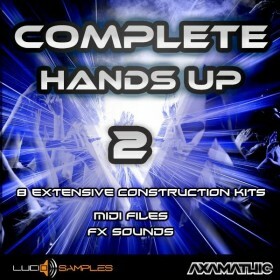 1 is one huge set of samples to create complete music tracks with characteristic for hands up sound. 'Slow Melody' section – gives slowdown between energetic parts of a composition and it’s also perfect for an intro. It builds up calm and emotional ambience in the track. This section is composed of piano tracks, synths, bells, pads, bass pads, choirs, strings and others. 'Break Melody' section – is a perfect connector between ‘slow melody’ and ‘main melody’. It breaks every track from slow and emotional atmosphere and leads it to energetic chorus. In this section's tracks we used synthesizer sounds dedicated to Hands Up music, deep and swaying basses, synth leads, subsidiary synths (overlays), pads and also kicks and snare rolls. 'Main Melody' section – the culmination part of each of the 10 arrangements (chorus). The same sounds as of the ‘Break Melody’ section are used here but now in a complete melody lines (not broken). Additionally the drums also appears divided into such tracks like: kicks, snares/claps, hi-hats, loops + mix drums in one track. Each of the 10 arrangements is recorded in 4 multi-track midi files: Slow Melody, Break Melody, Main Melody and Full Track. The recording of all of the tracks in midi formats makes it possible to modify every melody in any way you like. 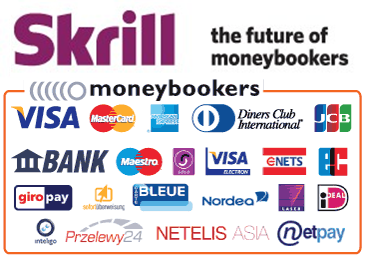 It also enables unlimited use of other sounds from your favorite synthesizer VST/ hardware.